Slavisa Jokanovic says some of the Fulham players are not showing enough “hurt” at missing out on selection in his starting line-up. Fulham, who spent more than £100m in signing 12 players during the summer, have registered just one victory from their opening 12 league matches, with Jokanovic yet to name the same starting XI for two games in a row. Jokanovic will look to arrest the club's four-match losing run when they face fellow strugglers Huddersfield, live on Sky Sports Premier League, on Monday and he believes the competition for places is healthy. "This process is never finished, other players are going to have an opportunity to push hard and fight for the space in the team," said Jokanovic. "I want to encourage my players to not wait for an opportunity. I want to encourage them to fight, to force the situation and show me they are my best choice. This is what I expect. "I want to make some competition between them and for them to be hurt when they are not in the starting XI. This is what I miss right now. "And we're going to push harder and in this way be competitive in Premier League games too." 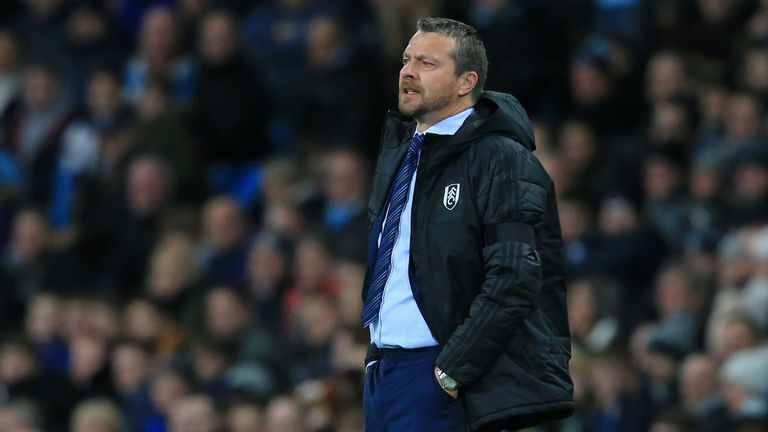 Jokanovic, who insists he is the right man to rectify the club's poor start since their promotion, has called on his players to be "brave" with their performances. "We need more, it's simple. At the beginning it's not enough and we cannot be satisfied with ourselves," he said. Slavisa Jokanovic is backing himself to help Fulham recover after a poor start to the Premier League season. "We didn't make our supporters satisfied too. They observe us and they are waiting for the reaction. It's not for the reaction of one player or two, it's the reaction of all the team. "We wanted to start with more points, with more quality. This challenge is open, is ahead of us, and we must be brave."